On March 16, President Trump released his initial budget proposal for the 2018 federal Fiscal Year. Among its many provisions is a proposal to zero out budgeting for the Chemical Safety and Hazard Investigation Board (more often referred to as the Chemical Safety Board or CSB). CSB was created by the Clean Air Act Amendments of 1990, as an adjunct to that legislation’s provisions for an Accidental Release Prevention (ARP) program to be administered national by the Environmental Protection Agency (EPA) to require facilities to reduce the risks that onsite incidents involving toxic or flammable chemicals might have disastrous offsite consequences. 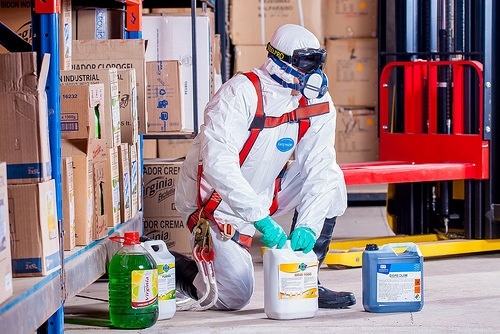 CSB and the ARP program complement national efforts by the Occupational Safety and Health Administration (OSHA) to require chemical Process Safety Management (PSM) programs to reduce the risks that onsite incidents might have disastrous onsite consequences to facilities and their personnel. (I blogged about pending ARP program revisions here, and PSM here). Although there are many fine points, the simplest statement is that ARP and PSM are supposed to prevent accidents, while CSB is to review accidents that do occur and recommend ways to reduce the likelihood of future accidents. Investigate incidents and report -- the facts, conditions, circumstances, and cause of any accidental release (as defined by ARP) that results in death, serious injury, or substantial property damages. Issue periodic reports - recommending measures to reduce the likelihood or consequences of accidental releases (such as corrective steps in existing chemical production, processing, handling and storage, and proposing appropriate rules and orders that EPA or OSHA could issue under their authority (such as ARP and PSM)). Establish chemical accident reporting regulations (it has not done so). CSB consists of five members, supported by technical staff. CSB coordinates its accident investigation efforts with the National Transportation Safety Board (NTSB), EPA, and OSHA. CSB’s accident investigation reports are not admissible as evidence in any action or suit for damages arising out of an accident. Published 92 investigation reports, case studies, safety bulletins and hazard studies. Produced 67 video products (detailing incident events and process issues. Provided 784 safety recommendations, and closed 593 (76%). President Trump’s defunding proposal is entering the Congressional budgetary process, where it will be debated alongside myriad other issues. Note that the proposal does not include a direct recommendation for statutory change to eliminate CSB, which took nearly a decade after the 1990 Amendments to receive its first funding. Does the organization operate any processes subject to regulation by EPA’s ARP program, OSHA’s PSM standard, or comparable state regulatory requirements? Has the organization reviewed CSB reports and/or safety materials for possible insights to the organization’s own operations and safety efforts? Has the organization ever had an incident that was investigated by CSB?